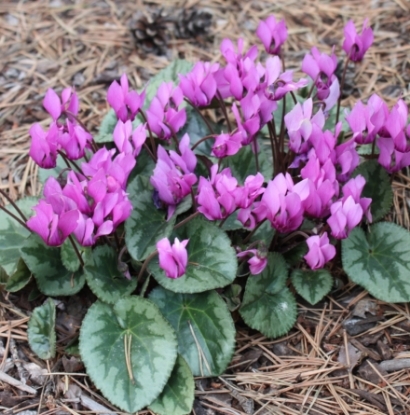 A pretty fall blooming species from Turkey with honey-scented, mostly pale pink flowers and a magenta "nose". 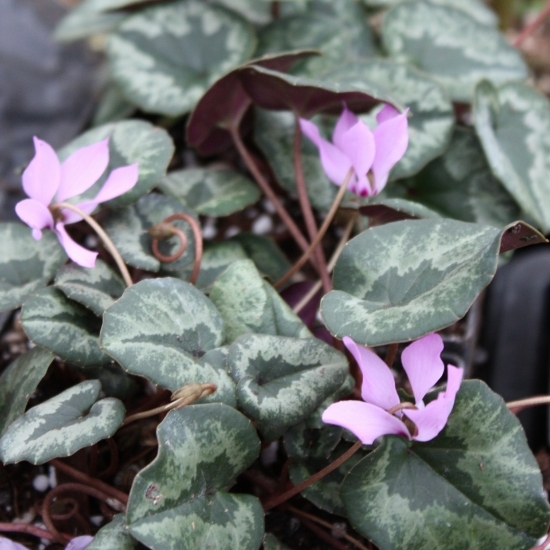 The petals are strongly reflexed and narrow. 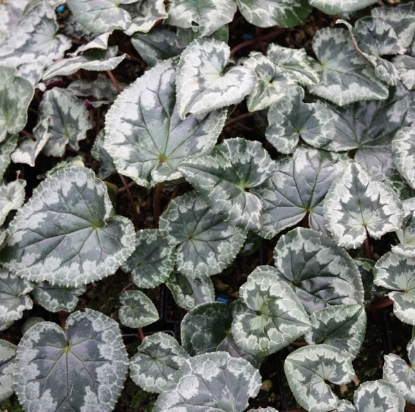 Leaves are more or less silvery marked. 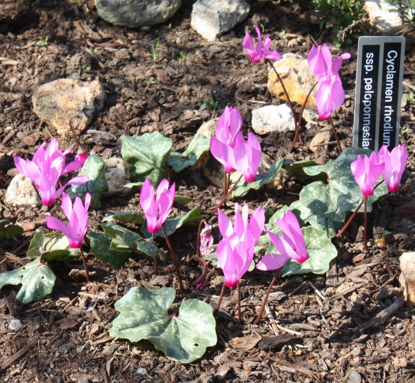 According to the Cyclamen Society, C. cilicium can be hardy to USDA zone 4, but in my experience it has been more on the tender side. Considering they grow in rocky/gravelly soil, good drainage will make all the difference and they do prefer a dryer spot in general. 2 3/8" square -3 3/4" deep pots.